When I started writing this article I stared at the computer screen for a few minutes. I didn’t know in which category to put this text – weight loss or beauty. After researching for a while I found out that some experts aren’t clear about cellulite and the relation it has with overweight, either. Since cellulite is common with skinny women as well and they also search for ways how to get rid of cellulite, I decided to put this text into the beauty category, but weight loss will be a subcategory because sometimes it is related to weight gain. This deformity is caused by the weakened connective tissue and it is a problem not only for overweight but for thin women, too. Cellulite is commonly found on the hips, buttocks, thighs and back of the arms. Does your nutrition affect cellulite? Some studies show that excessive intake of carbs can increase your chances of getting cellulite. Furthermore, some experts say that large amounts of salt increase fluid retention which makes cellulite more noticeable. 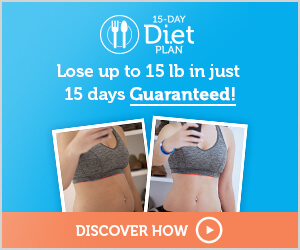 Even though this hasn’t been backed up by strong evidence, maintaining a healthy diet, drinking water and avoiding weight gain is helpful. 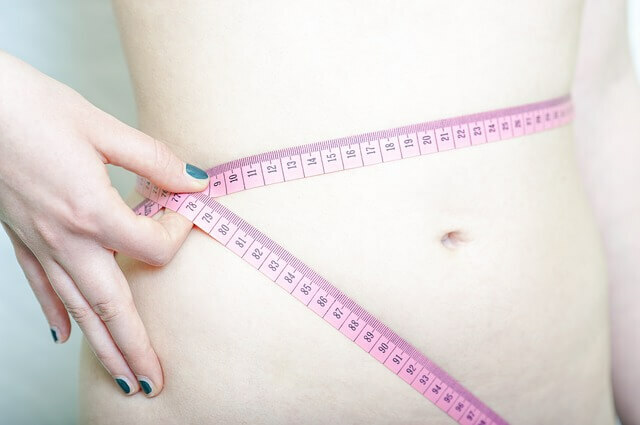 Although weight loss Is promoted as a good way to get rid of cellulite, the effectiveness of weight loss isn’t proved. For some people losing weight can make the cellulite condition worse. On the other hand, some people lose cellulite after losing weight. It’s individual. Anyway, certain types of food can have an impact on your cellulite. The worst food for cellulite is the worst food for gaining weight, too. It’s no surprise since if you eat unhealthy food you aren’t doing a favor to your body, nor to your skin. If you want to lower the risk of getting cellulite you should avoid eating salty food, refined sugars, and carbohydrates. 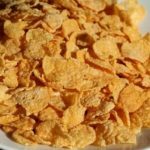 Flakes usually contain white flour which is processed as sugar in your body and when you add milk to your flakes you intake extra estrogen which will create fat and cellulite on your buttocks. For a healthier alternative, use almond milk and flakes which contain at least 5 grams of fiber per meal. A lot of chocolate energy bars with granola are loaded with sugars which turn into fat tissue. Replace them with fruit. Not all kinds of sushi belong here, but many of them contain ingredients that make you fatter, like mayo, creamy cheese or rice. Besides, adding soy sauce or eels means adding lots of sugars and sodium. 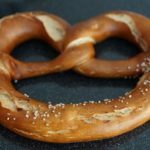 Even though pretzels aren’t full of calories and fats, they contain a lot of salt which is guilty of retaining fluids and dehydration which make cellulite more visible. If you want to have a better snack choose nuts. Proteins are the key to having a fit body with muscles, but some kinds of meat such as processed turkey, sausage, ham, and steak are full with unhealthy fats and they are more harmful than useful. Fruit yogurts are especially loaded with sugars. Some kinds of yogurt have between 15 to 29 grams of sugar which are the same amount of the sugars in a candy bar. Choose yogurts with no more than 11 grams of sugar and don’t drink more than the recommended daily amount. Dry fruit is usually listed as a healthy snack, but that’s not true. On the contrary, dry fruit contains a lot of sugar, additives, and preservatives whose role is to keep the taste and freshness of the fruit. You often eat more than you planned because the dry fruit compresses during dehydration. Conclusion? Nothing can replace fresh fruit. We all know that spicy food is rich in antioxidants and it protects us from aging, but spicy food has a negative side, too. Some kinds of spicy food like curry are full with sodium and saturated fats which are stored in your body. Hence, it’s ok to eat fast food occasionally, but don’t eat too often or too spicy. Food labeled ‘sugar-free’ is as dangerous as food which actually has sugars. Sugar-free ingredients are usually processed and they contain preservatives and according to some researchers, this food has no taste, nor nutritious value. This food is stored as fat and cellulite. 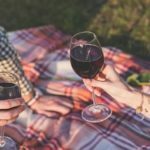 Red wine and other types of alcohol have the same effect on your body- they destroy the collagen and accelerate aging of the skin, which leads to more visible cellulite. Make sure you drink alcohol rarely. A healthy body and a flawless skin require a good, balanced diet which includes fresh fruit and vegetables, fish, healthy snacks, and a lot of water. It is rich in antioxidants which break down fat cells in cellulite. Also, salmon is rich in Omega – 3 fatty acids and proteins and keeps you fed for a long time. 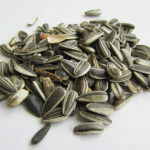 Sunflower seeds are rich in zinc, potassium, vitamin E, and B6. 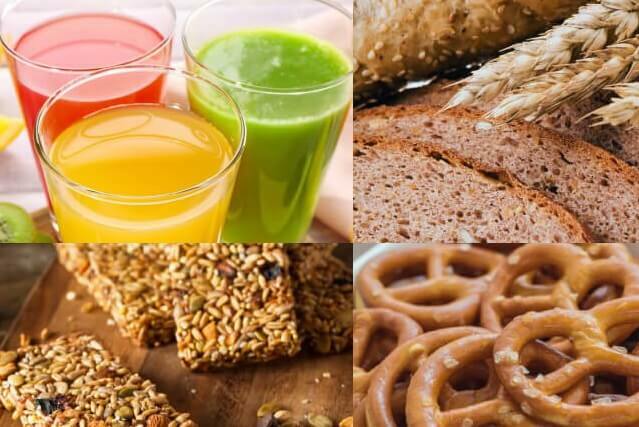 Vitamin B6 helps metabolizing proteins that strengthen and repair the connective tissue. Blackberries and blueberries stimulate the production of collagen which has an essential role in creating new skin tissue. Like salmon, berries are also rich in antioxidants which break down fat cells in cellulite. Potassium, magnesium, and calcium in apple cider vinegar flush out toxins in your blood which leads to less cellulite on your thighs. If you want to have maximum benefits from it, you should drink it without sugar, or use honey optionally. Drink 1-2 cups daily before meals. Olive oil is important for the thyroid to function properly. The thyroid boosts the metabolism, burns fat and recovers skin-building cells. Dark chocolate is also rich in good fat and flavonoids. Because of that, dark chocolate became part of many diets. It is also rich in antioxidants which break down fat cells in cellulite. 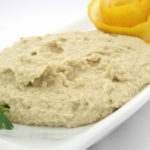 Since hummus has low-glycemic index it is a good snack which puts only a small amount of glucose into the blood, which is important because insulin is a fat storage hormone. Cellulite is an issue for 80% of women. The biggest problem is that it’s very persistent and it’s hard to get rid of it. On the other hand, it appears in the twinkling of an eye! At first, it’s not visible unless you squeeze your skin. If you are lucky, it stays like that, but usually, the skin gets thinner and loses its elasticity which makes the cellulite more visible in the shape of lumps. There are 5 effective ways to lose cellulite. Some creams and lotions can reduce the appearance of cellulite. The ingredients of these products usually include retinol (vitamin A), some plants, and caffeine. The manufacturers claim that these lotions and creams improve the cellulite condition by breaking down fat, improving your blood flow and boosting your skin’s elasticity. Hand massages, or massages using a variety of wooden props-made massage, vacuum massage can be helpful. One way is using different techniques for removing cellulite. One of the most effective devices for that are ShockWave, LPG, ultrasound with anti-cellulite creams, and electrostimulation. The fourth way is using injections consisted of cocktails which help remove cellulite. The most common are the injection of collagen into the affected areas. And last, but not the least physical activity which needs to be part of any other treatment. Physical activity or exercises which are most effective for fighting cellulite are those which speed up your metabolism and improve your fitness. 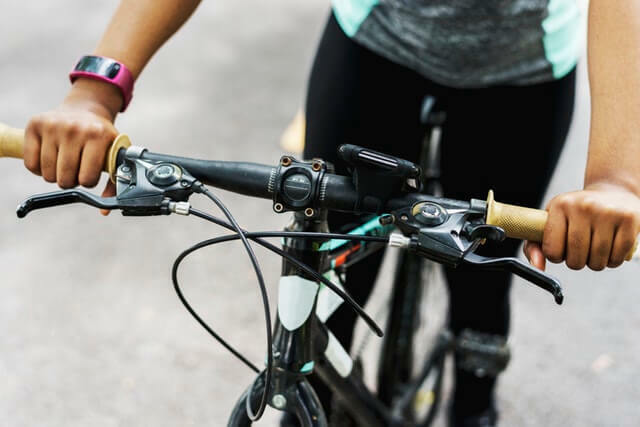 Running, cycling, plank, nordic skiing, exercises for the whole body, especially for your legs, thighs, buttocks, and arms are definitely an excellent choice. The most efficient way to get rid of cellulite should be determined after taking into consideration your checkup and taken parameters. It depends on several factors: type of cellulite, whether it’s soft or hard, its amount, obesity, metabolism, hormonal status, lifestyle, and genetics. Then, the skin sensibility and subcutaneous tissue are taken into consideration. However, according to many experts, you can achieve better results if you combine more treatments. Although you can’t get rid of cellulite once for all, you shouldn’t get disappointed. There is no permanent solution, but if you repeat the series of treatments usually in spring and fall, the change will be noticeable. Different treatments are advisable for every season and if you want fast and long lasting results you also need to adjust your diet. Mainly, eat food with less or no fat, no sugar, nor salt. Eat a lot of diuretic foods, fresh fruit, and vegetables, and drink water to keep your skin healthy and enjoy the good weather without worrying about your looks.